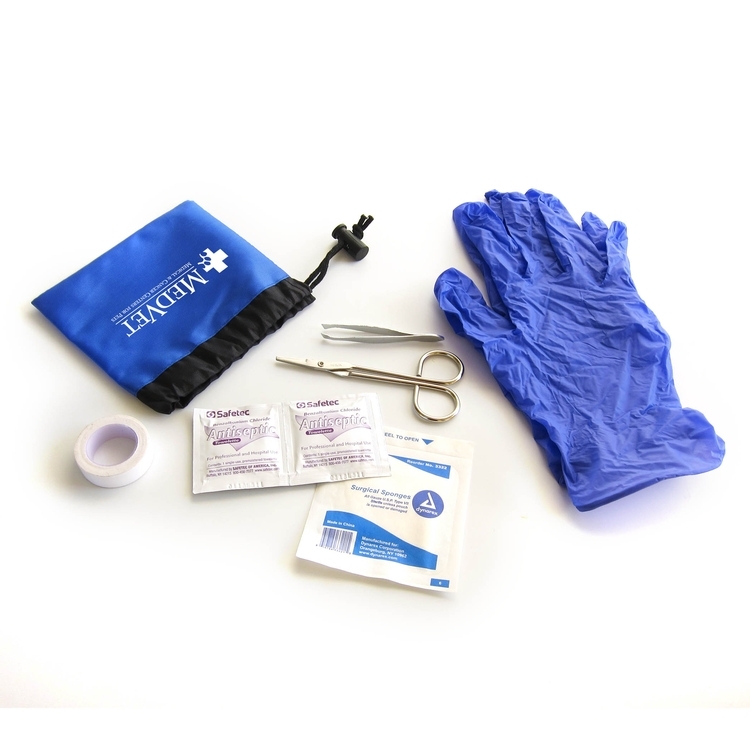 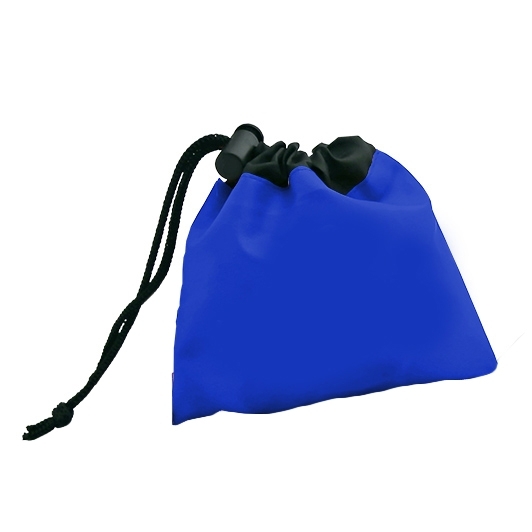 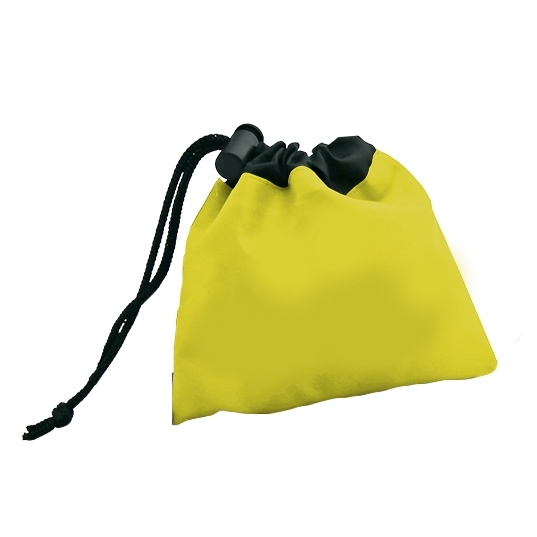 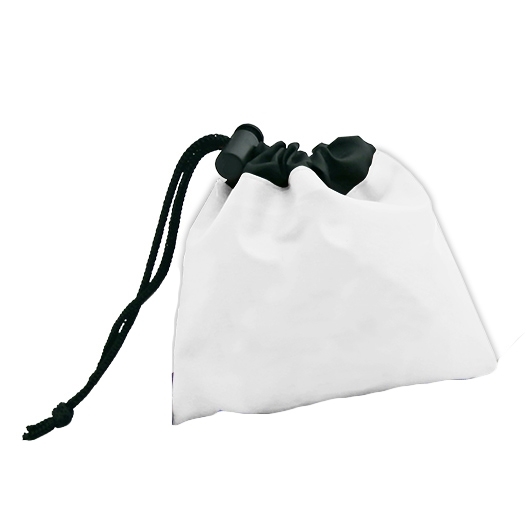 Sturdy 210 Denier polyester drawstring tote contains: scissors, tweezers, nitrile gloves, first-aid tape, two gauze pads & two antiseptic towelettes. 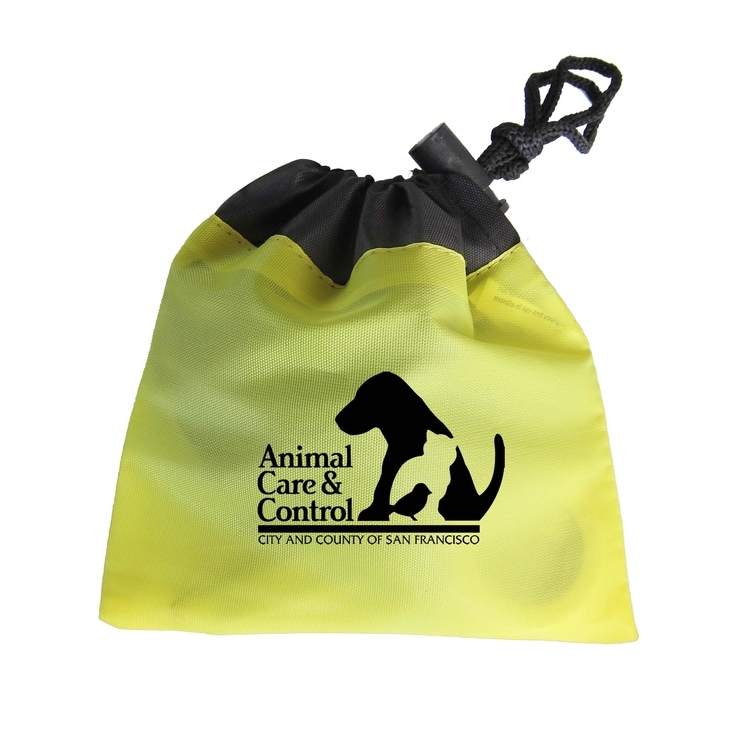 Price includes a screen printed, 1-color on one location imprint. 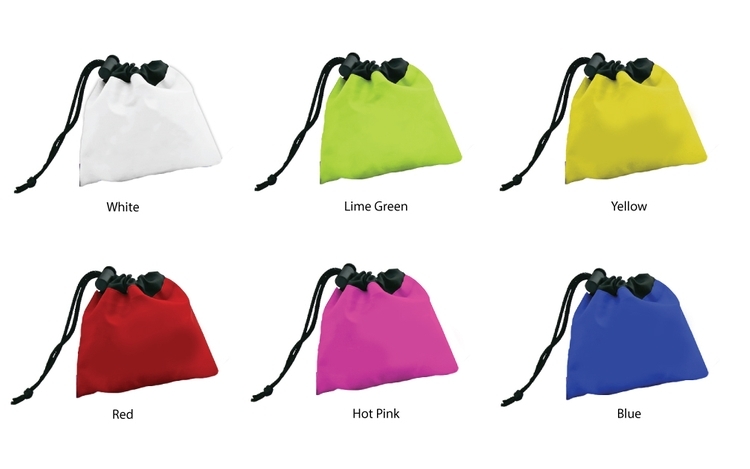 Size: 5" H x 5" W.
Imprint Area: 2-3/4" H x 3-1/2" W.
Product Colors: White, Red, Orange, Yellow, Lime, Blue, Pink.